These are just a few of this fall's tiger headlines. It's been a barrage of bad news. Legions of dedicated individuals are deep in the fight to save this majestic creature, the largest of the world's cats. 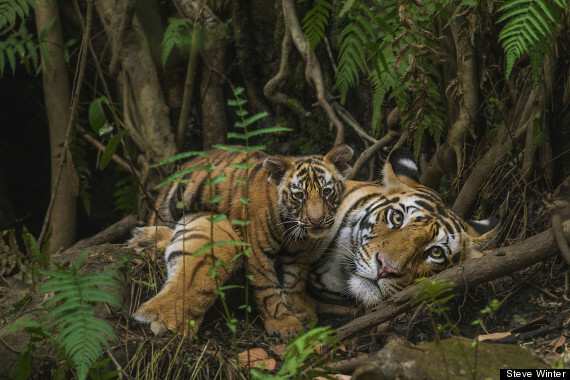 It's an animal that faces myriad threats, as all carnivores do, but one factor is largely responsible for their current slide: poaching, driven by the Chinese demand for tiger products. Tigers have had more conservation dollars spent on their behalf than any other creature on the planet, yet the cats continue to disappear. Some of that money has vanished, like smoke. Some large nonprofits advertise their plight on billboards and plead for them in TV campaigns, but the cash they raise is often funneled into general operating budgets, not tiger conservation. 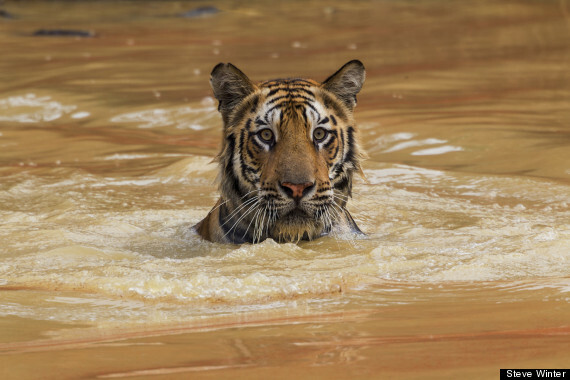 Some organizations send out regular press releases proclaiming they're saving tigers, but numbers continue to dwindle. Others are truly making progress, beefing up protection, saving forests that are the cat's home. Tigers are in the emergency room, but few people seem to be aware of exactly how precarious their future is. That may be because we regularly see them in zoos, circuses, even roadside attractions, but those animals are strictly for entertainment and in no way help their wild relatives. Although tens of thousands live in captivity worldwide, most of these tigers could never be released into the wild: many are inbred, lack survival skills, and their familiarity with humans makes them dangerous. Perhaps 3,000 wild tigers survive. That's frighteningly few. (For context: There were 100,000 at the turn of the 20th century.) Most of those, about 1,700, are India's Bengal tigers. The other 1,300 are divided among five other subspecies: Indochinese, Siberian, Malayan, South China and Sumatran. There's a new tiger census underway, so we'll have updated estimates soon. With adequate food, water, and a safe home (large enough for a wide-ranging predator), tigers thrive. But threats are intensifying and tiger poaching is spiking, hunted for a lucrative international market in illegal wildlife products that's estimated at $19 billion a year. This trade is masterminded by the same international cartels that run guns, drugs and human trafficking operations -- and they ship tigers almost exclusively to China. Across their range, tigers are snared, poisoned and shot to fill a growing demand among China's elite. 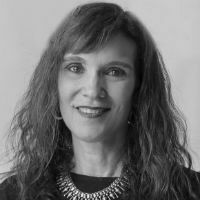 Today's market is not mired in traditional or cultural use of tiger products, nor are they used as ingredients in life-saving traditional medicines. These are incredibly expensive luxury items bought by or gifted to high-level government officials and wealthy businessmen. Serving tiger meat or tiger bone wine (made by steeping tiger bone in rice wine) often seals a business deal, and gifting this wine or displaying a tiger skin is a preferred way to flaunt wealth and power. China's tiger farms -- industrial breeding facilities that house some 6,000 tigers -- make tiger products widely available, increasing demand. Undercover investigators from the UK-based Environmental Investigation Agency documented stockpiles of skins and bones that feed a shadowy black market. This thriving domestic trade violates Chinese federal law prohibiting sale of tiger bone, a trade that could not occur without the aid and complicity of government officials charged with wildlife protection, the State Forestry Administration. Continued tiger farming also violates a decision by the Convention on International Trade in Endangered Species (CITES), which regulates that trade under a treaty signed by 180 nations. In 2007, the world voted that tigers should not be bred for trade, including domestic trade, and tiger farms must be phased out. Meanwhile, China's tiger farms continue to expand, and EIA discovered that at least one factory is pumping out tiger bone wine in substantial quantities. This commerce puts wild tigers in the crosshairs, especially in India. Wild tigers are coveted, considered to be highly superior to captive-bred cats. It's also far cheaper to kill one than to raise one to adulthood. China's growing tiger industry is directly responsible for this latest spike in poaching. The tigers that are hanging on in the wild have a housing crisis. On a satellite map, tiger habitat looks like green measles. Disparate green dots punctuate human landscapes cut by roads and railways, cities, towns, crop fields, mines, factories. More than half of all tigers live in India, a country of 1.3 billion people competing over land and resources -- and increasingly lax environmental protections. The current census will soon report that tiger range has again contracted. Tigers once inhabited 30 Asian countries; that had dropped to 13. Now, very few, if any, are left in Cambodia, Laos, and Vietnam, and those living in China mostly wander in from neighboring countries. This leaves tiger populations scattered about in disconnected, sometimes tiny groups that are too small to maintain a healthy gene pool. Young tigers must establish their own territories, nature's way of preventing inbreeding, but once they step outside of reserves, relatively few survive. And with such a huge price on their heads, more and more tigers are killed inside those "sanctuaries." Then there's the lack of food. People hunt and eat the same deer, wild pigs and other game that tigers eat. Hungry tigers then eat livestock -- and end up dead. Each of these threats are quite serious, but the pink elephant in the room in nearly every international "save the tiger" meeting these days is the demand. Because of China's global economic muscle, neither world governments nor conservation organizations are stepping up to hold the nation's leaders accountable for illegal trade and consumption of wildlife products. And it's not only tigers, but also snow leopards (for skins), lions (for bones) -- and so many other species, from elephants (for ivory) and pangolins (for scales) to bears (for bile), turtles (for meat), and more. But there is hope, mainly because of the relentless efforts of innovative, dedicated people. True heroes. 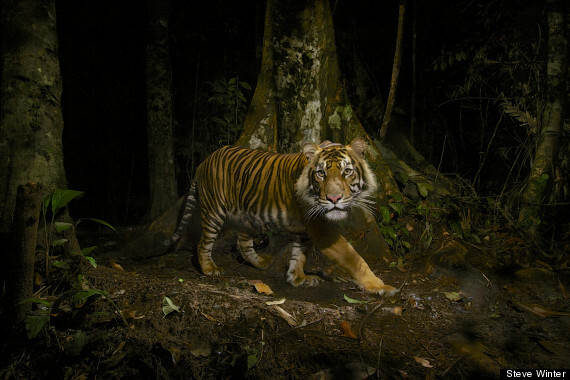 In some places, tigers populations are holding steady or recovering. Wildlife crime is now being recognized as a criminal industry that's reached crisis proportions, thanks to efforts by TRAFFIC, a global wildlife trade monitoring organization, and new efforts from the UN Environment Programme, UN Office on Drugs and Crime, the World Bank-led Global Tiger Initiative, and others. The Wildlife Protection Society of India has amassed one of the world's largest wildlife crime databases. With a string of coordinated, immediate efforts, there may be hope. Remaining tiger habitat must be safeguarded: if those lands continue to be pillaged and developed, the cat has no future. Tigers live in the crosshairs, in constant danger: Without careful monitoring and armed protection, poachers will wipe them out. Tiger-range countries must prosecute poachers and wildlife traffickers with serious penalties at home and coordinate across borders with neighboring countries and INTERPOL to apprehend the cartel kingpins behind the trade. It's up to individual countries to protect their tigers and their forests, and it's up to the global community to support them and hold them accountable. But in the end, poachers are smart, driven by huge profits. Neither the most innovative conservation programs nor the best, top-notch enforcement will save this magnificent animal unless China can be persuaded to shut down its farms, end commerce in tiger products, and step up enforcement. Jackie Chan, Yao Ming, and other celebrities have partnered with WildAid, a San Francisco-based conservation nonprofit, to help sway public opinion in China against consumption of wildlife products. Their message: "When the buying stops, the killing can, too." We need to make that happen. Sharon Guynup's recent book with Steve Winter, “Tigers Forever: Saving the World’s Most Endangered Big Cat,” tells the tiger’s story in words and images. Take a look at some of Steve Winter's photos below. This post is part of a series produced by The Huffington Post in conjunction with Nat Geo WILD's Big Cat Week. To see all the other posts in the series, click here. For more information about big cats, check out National Geographic's Big Cats Initiative. Tigers live in perhaps the highest density in Kaziranga National Park of any place in India. In other national parks in India, tigers are in great peril, heavily-hunted by poachers, but here the park is protected by armed guards—and poachers tend to target the Indian one-horned rhinos instead. 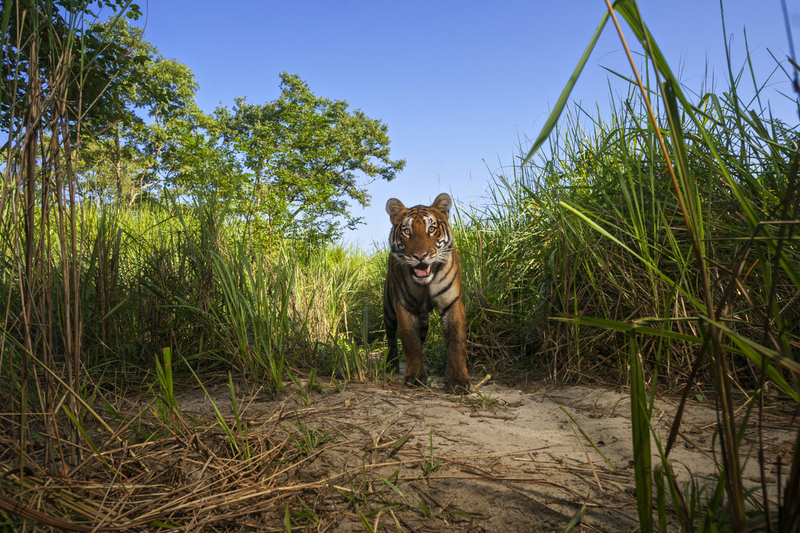 Here, a young male is photographed by a “camera trap” as it emerges from the elephant grass.